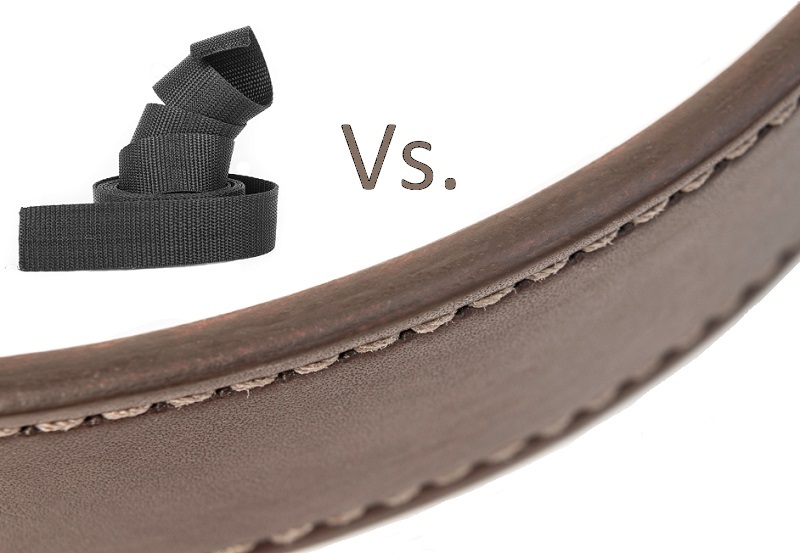 Previously we discussed the difference between a gun belt vs normal belt, today we'll discuss nylon vs leather. Gun owners often ask us whether a leather gun belt is a better choice than nylon when shopping for a gun belt. 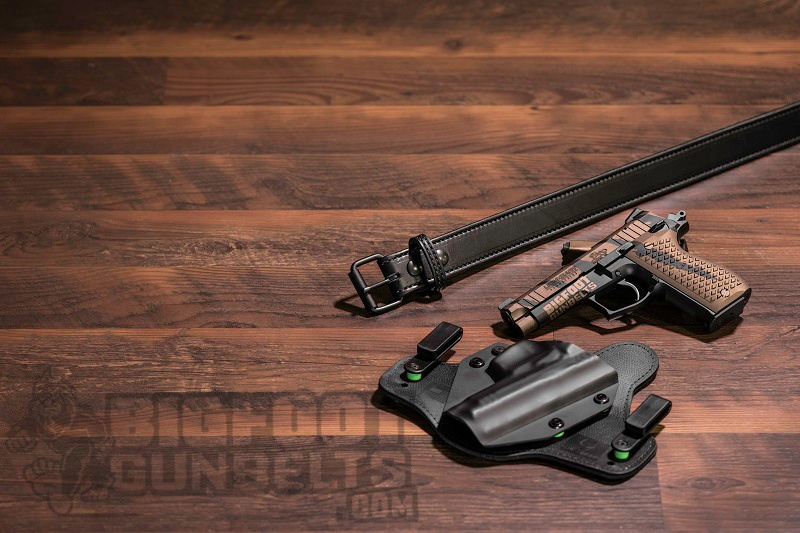 Each type of gun belt material has its own positives, in this article we're going to look at all of the factors to consider when deciding on a gun belt. One of the first things to be aware of when buying a gun belt, be it a leather gun belt or otherwise, is the need for strength. A gun belt has to hold up not only a firearm and holster - which is fairly heavy - but often enough has the additional task of holding up the wearer’s pants, extra magazines and possibly a knife. There’s no question that nylon can be made as strong as leather. Also, since it’s chemically engineered rather than a natural product that’s crafted to specification by experienced workers, it is also - and this would be the elephant in the room - cheaper to make. Leather goods require much more investment as the fabric is literally an animals’ skin; that requires time and materials that nylon just doesn’t. Amazon has nylon gun belts for as little as $10. However, cost is not the only thing to consider. Another factor one may want to consider in deciding between leather gun belt and a nylon gun belt is the material used. Not all nylon, you see is the same. There are thousands of distinct formula of nylon, and each is different. One of nylon’s properties is susceptibility to hydrolysis, a process where the chemical bonds of a material begin to break down subjected to water. Some types of nylon is engineered to be water resistant, but not all are. Likewise, many formulations of nylon are also vulnerable to ultraviolet degradation, where UV radiation similarly permeates and weakens the chemical bonds of a material. Neither of these processes is necessarily immediate - often it takes a while before any real damage is done - but they occur. To get around them, you need the right piece of nylon made out of the correct formula. The catch is that not every manufacturer discloses which nylon formula they are using, so unless that information is clearly displayed and you know your nylons, you may have to buy another one sooner then preferred. A quality piece of leather, though, only has to be bought once. A leather gun belt, however, is not susceptible to UV degradation or hydrolysis. If anything, it may soften and become more pleasant. Since the application requires more than a regular leather belt from a department store can deliver, a stouter piece of higher quality is required. 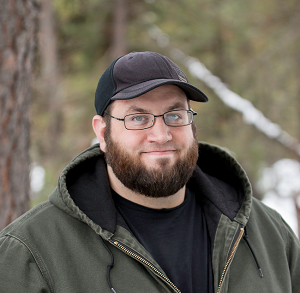 For instance, a Bigfoot Gun Belt is made using English Bridle Leather. Bridle leather is made from full grain leather, which is leather comprising the topmost parts of animal hide, which is of the strongest and highest quality. From there it is tanned. Bridle leather is tanned using vegetable tannins and waxes, which imparts stiffness and pliability. Presentability is also an important quality; most leather, just like Bigfoot belts, is drum dyed to permeate the entire hyde. Poor quality leathers are obvious, since the middle layer is a different color than the top. The usual application for bridle leathers is horse tack, hence the name. In that application, it needs to be strong enough to do its job, supple enough to not torture a horse and good looking enough for dressage in some cases. Care for leather is basically a bit of oil every now and again. 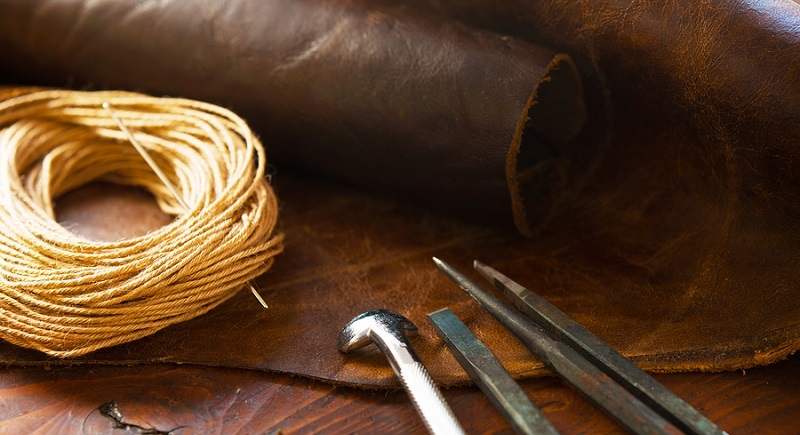 A well-cared for piece of leather can last for more than a lifetime. A high quality leather gun belt is an investment you’ll only have to make once in all likelihood, whereas a nylon belt may have to be replaced several times. Granted, some nylon belts are for tactical purposes and form part of a modular belt system and that’s certainly important in those applications.However, not every gun belt buyer is part of a SWAT team. Also, a great leather belt just looks good and can be used on dress pants and jeans alike. You don’t even need to be carrying a gun to appreciate one. Furthermore, try finding a bridle leather belt with steel core for $59.88. There aren’t too many. On that basis alone, it’s a fantastic buy.